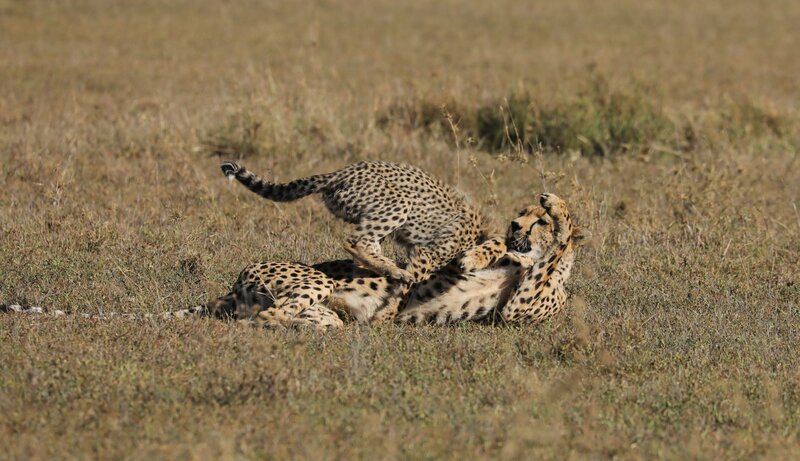 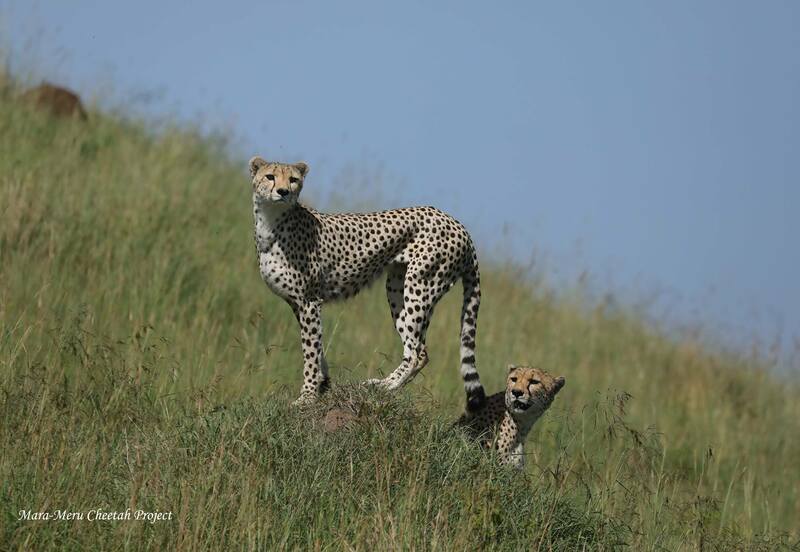 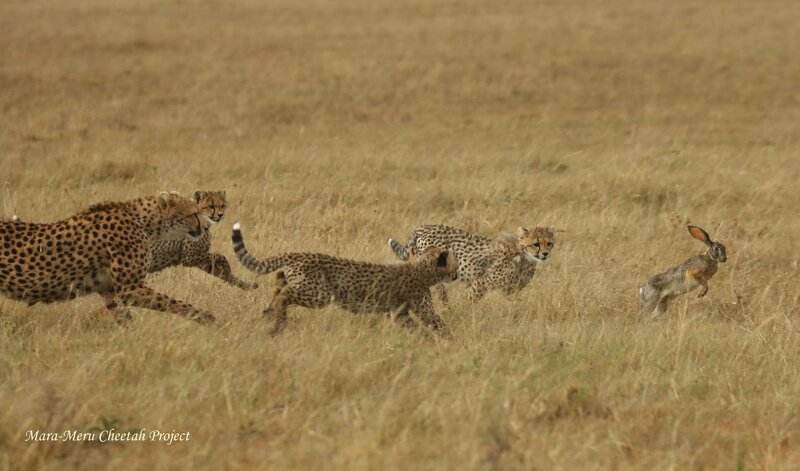 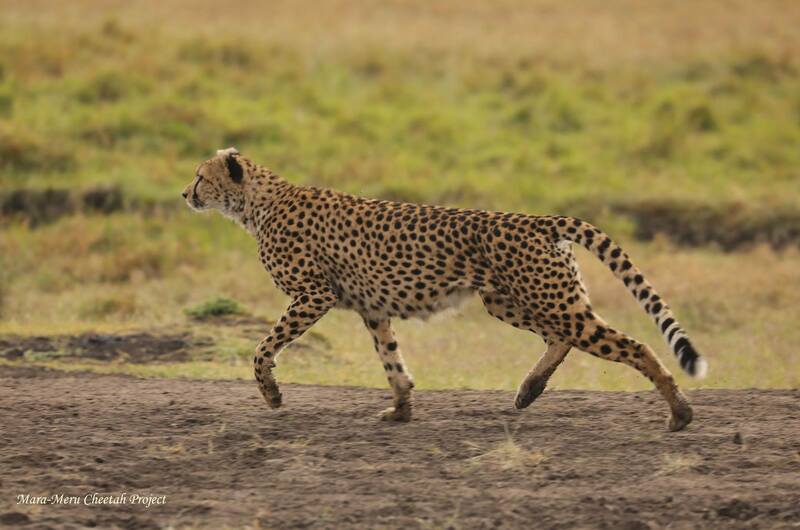 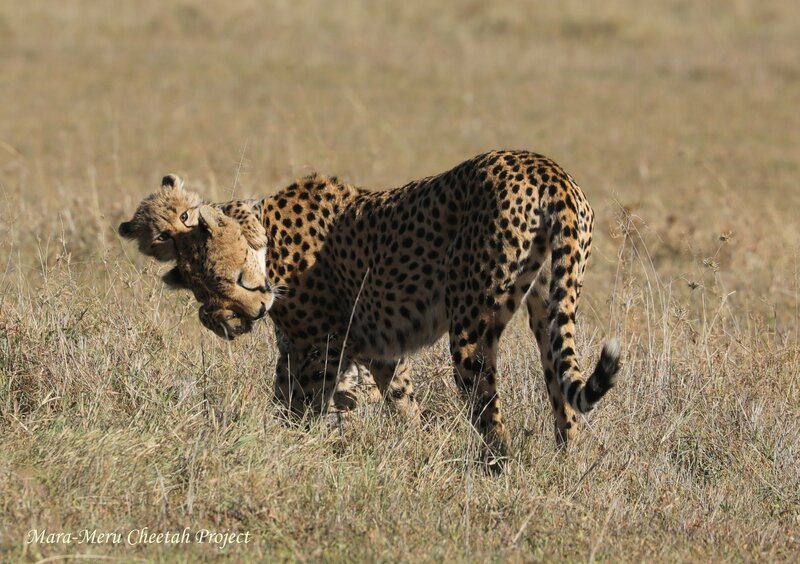 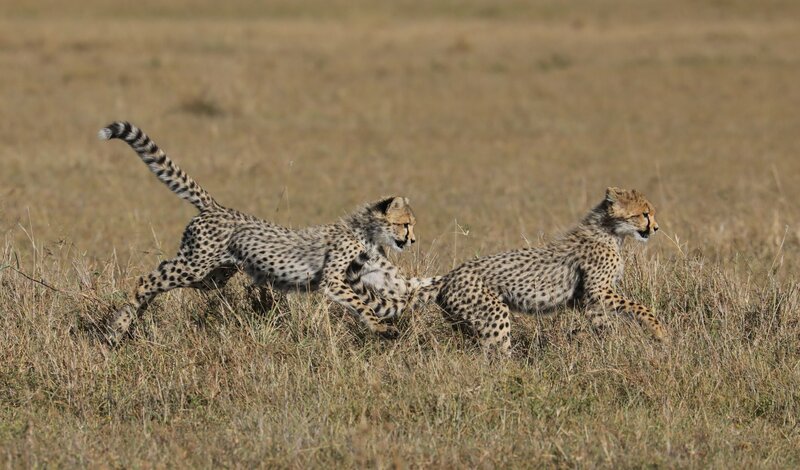 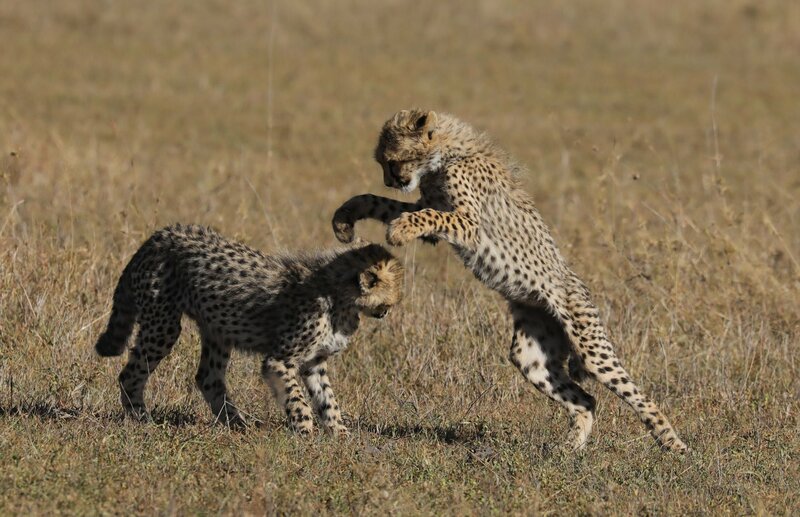 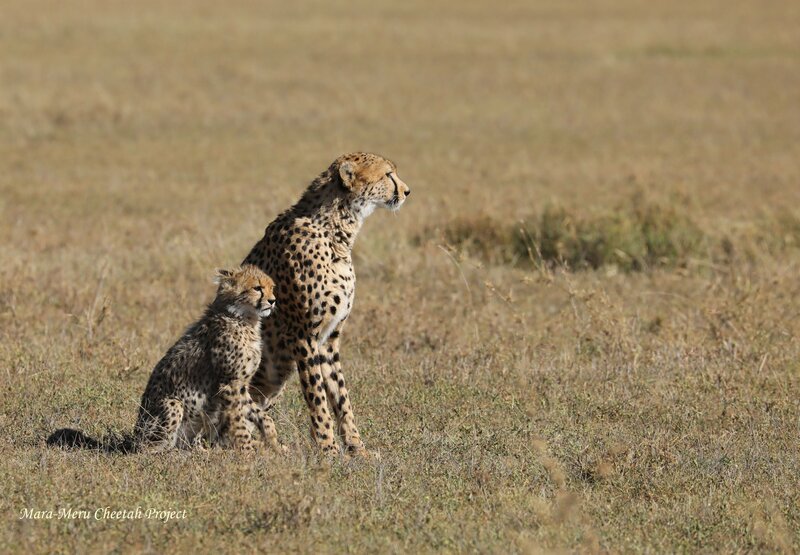 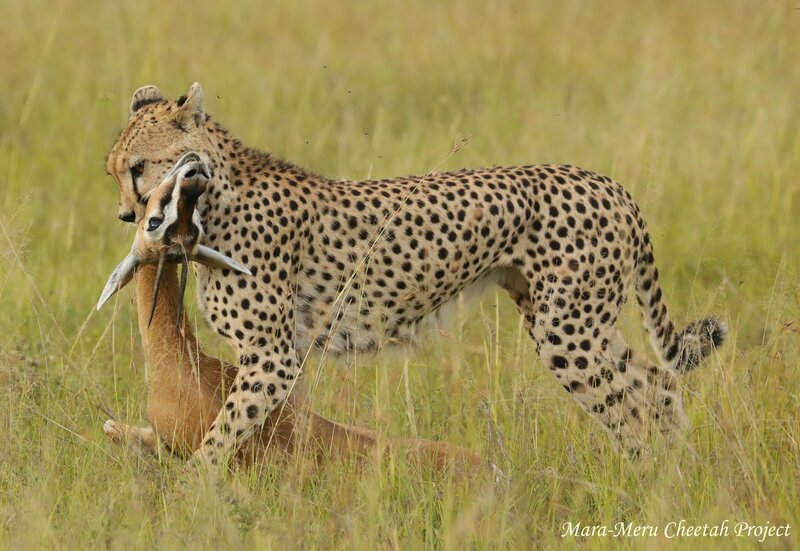 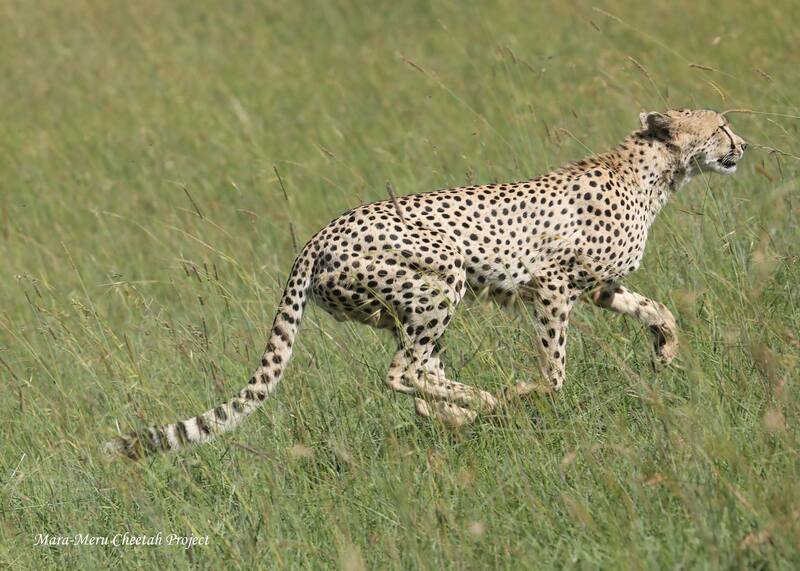 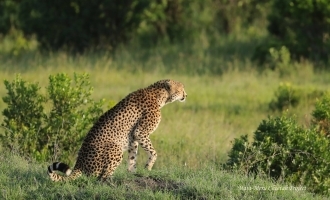 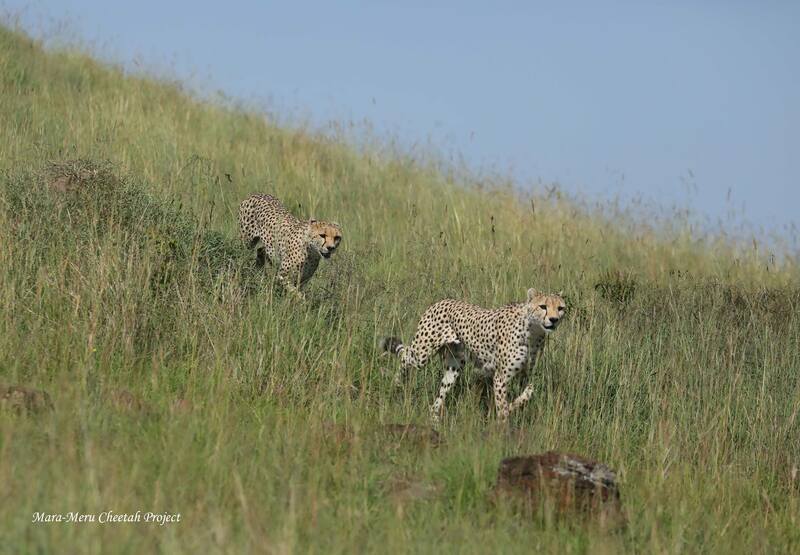 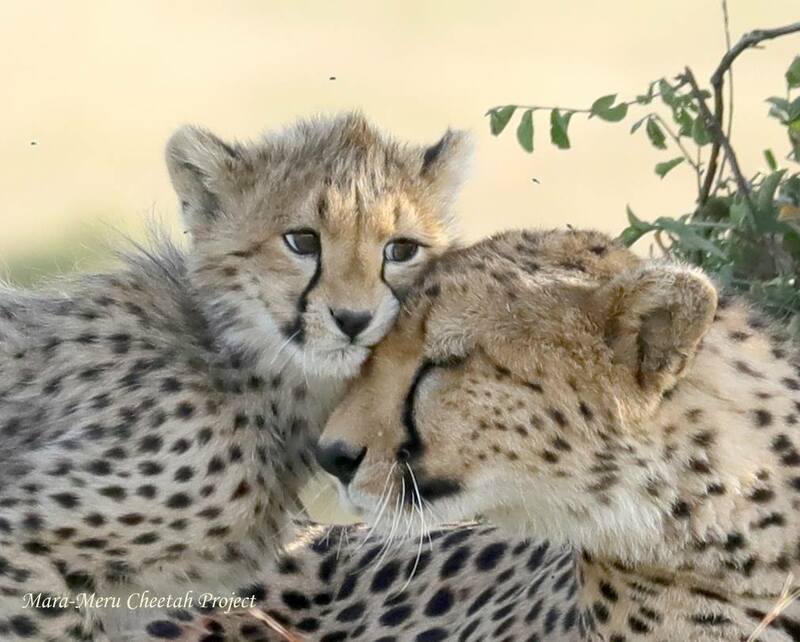 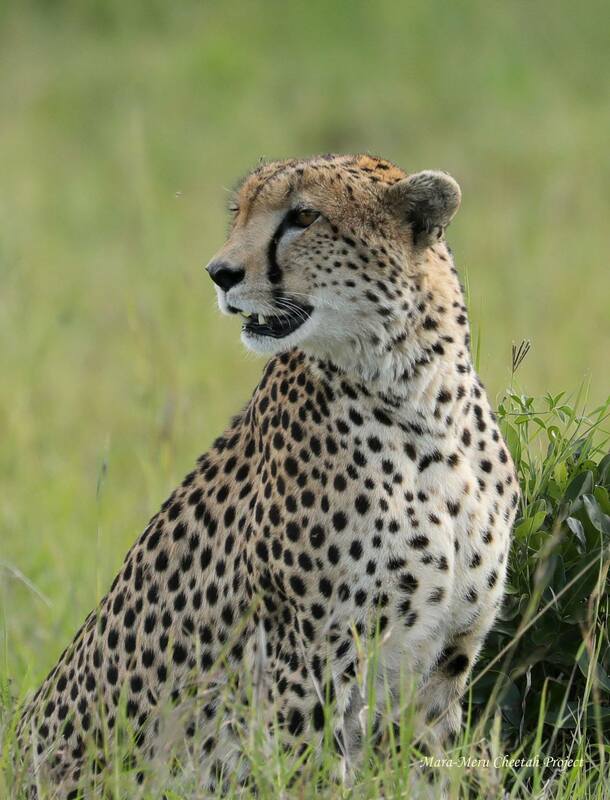 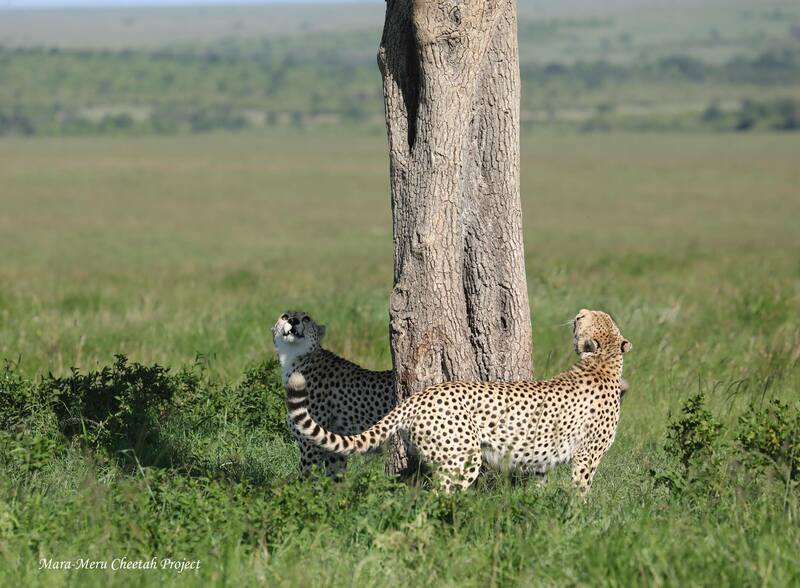 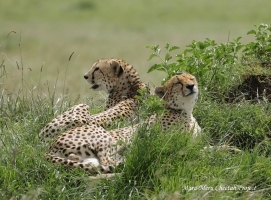 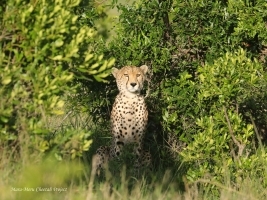 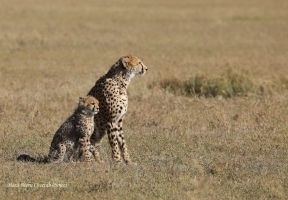 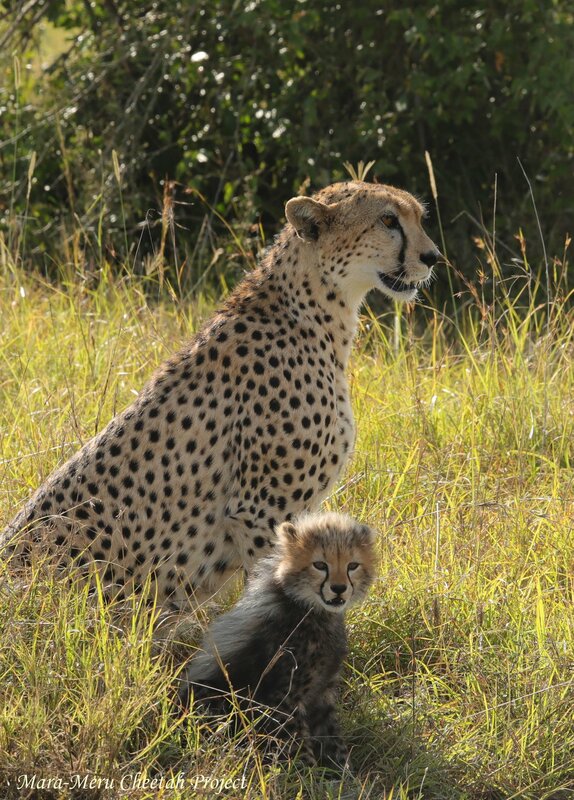 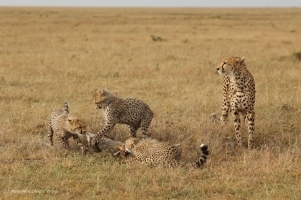 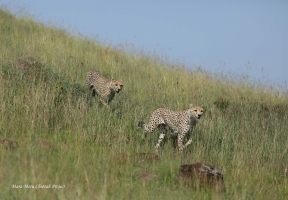 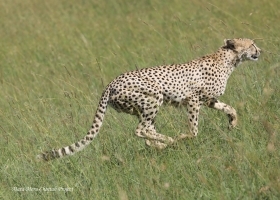 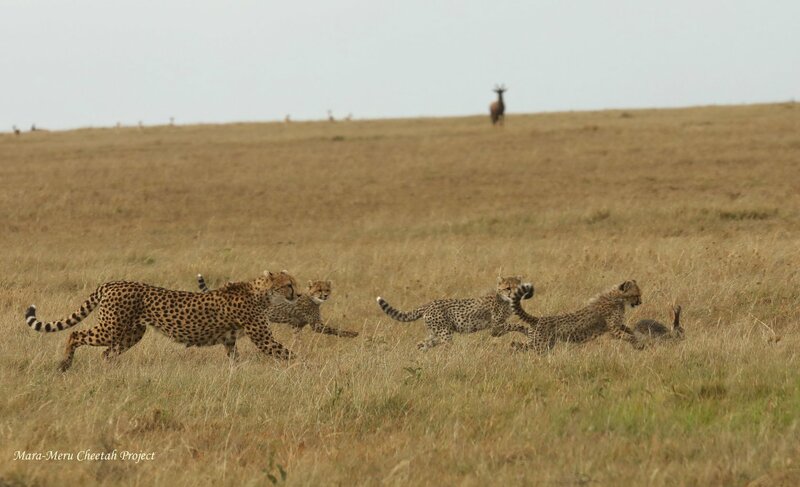 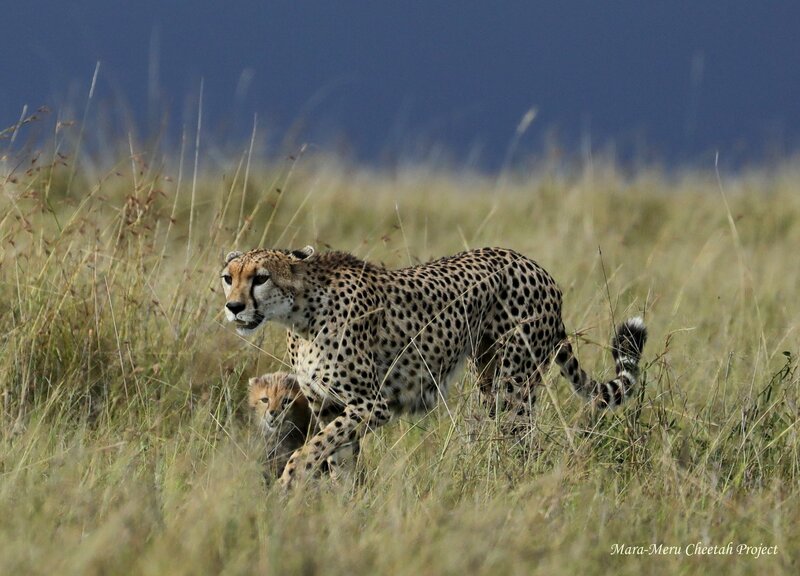 Raising babies is not an easy task for cheetah females: they have to regularly hunt and feed the young, train them to hunt and protect their prey on their own. 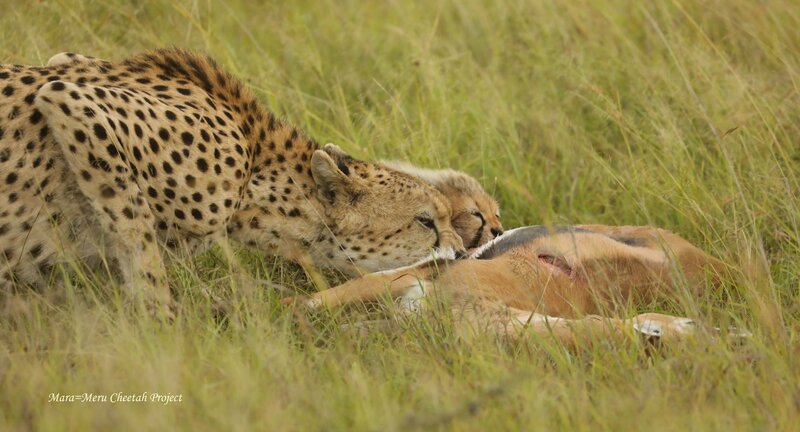 And most importantly, females have to protect their cubs from various predators, including conspecifics. There are cases when males not only attack females, but also kill their offspring. 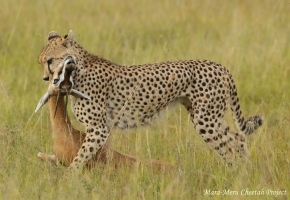 Mating with several males reduces the risk of male killing young during unexpected encounters of partners. Today, by patrolling the territory, the Fast Five coalition clashed with Nora. 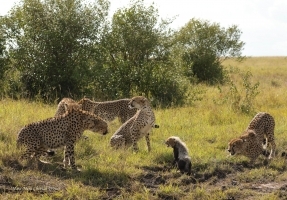 Her two-month-old cub showed courage in defending itself from approaching males — he howled loudly, hissed and growled at them. 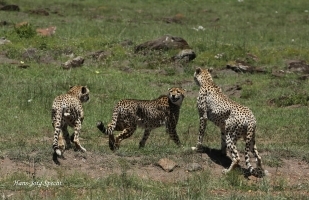 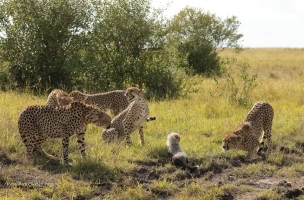 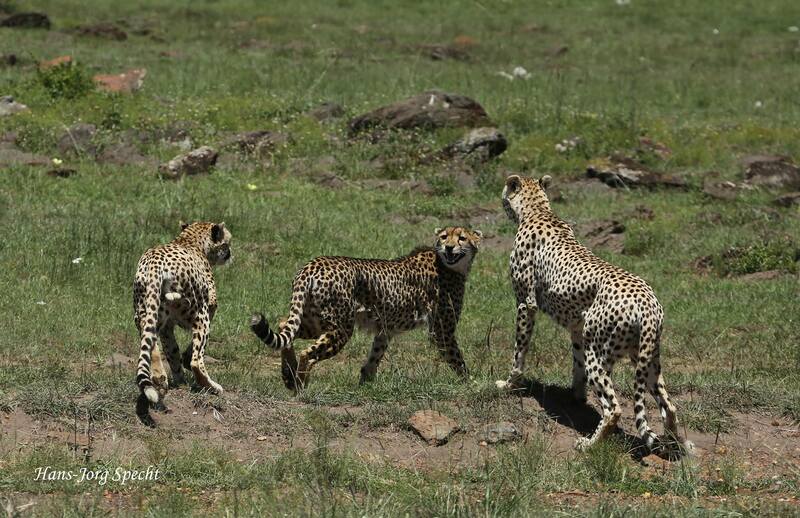 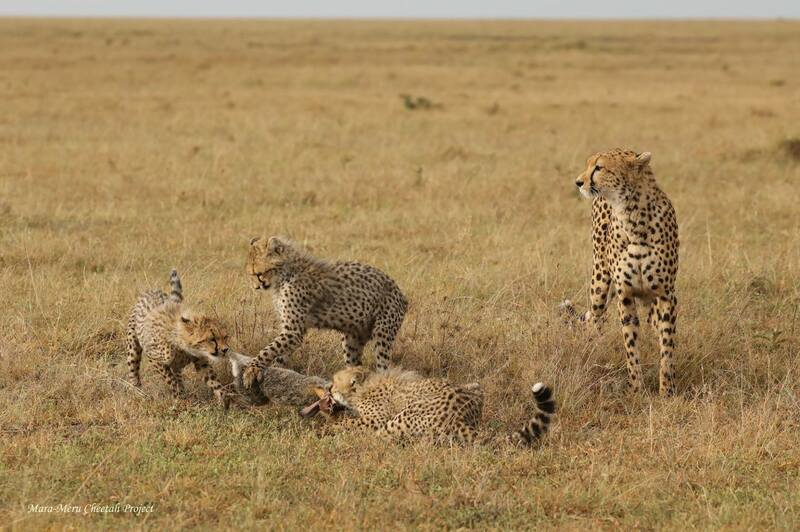 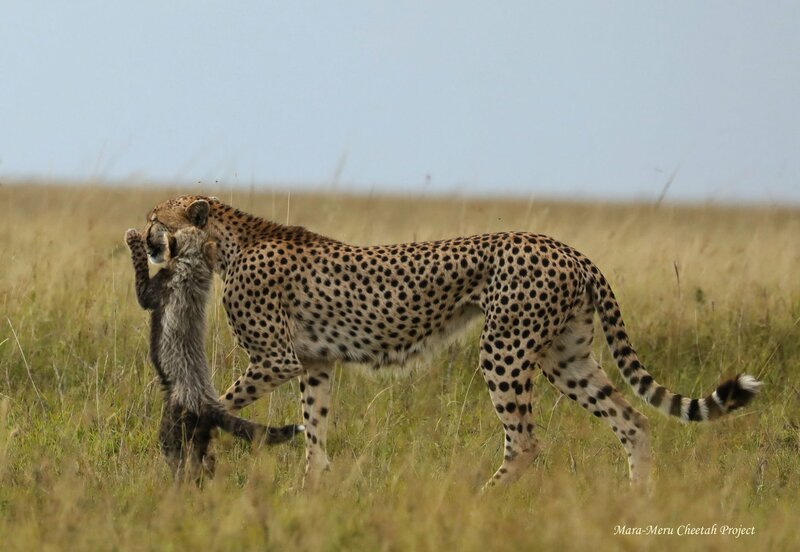 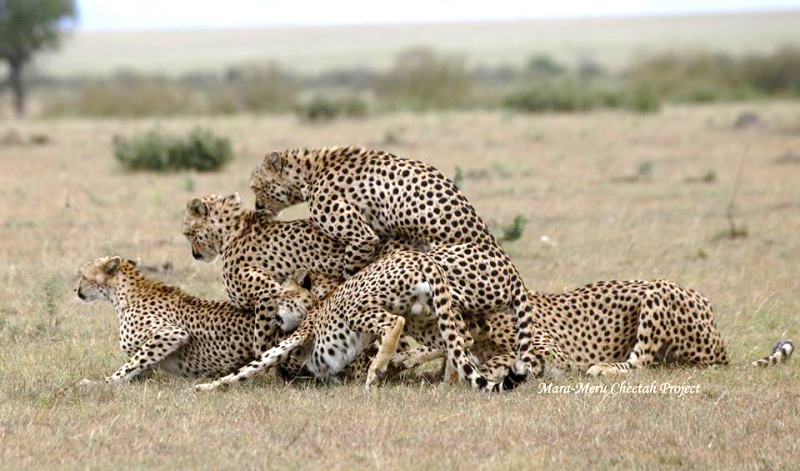 Although the males attacked Nora, they did not touch her only cub. In the past, Nora mated with co-leader of this coalition, and perhaps not just with him alone. 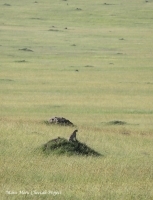 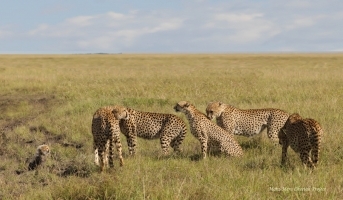 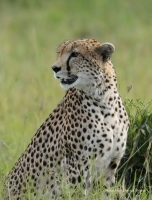 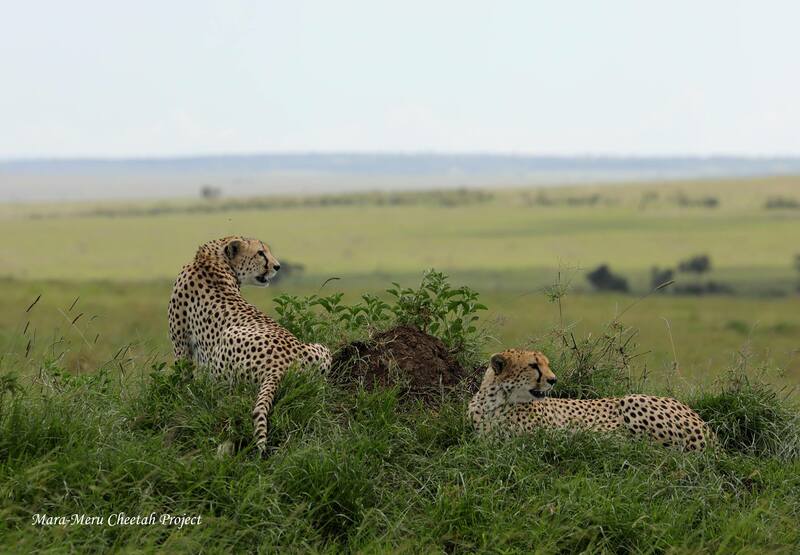 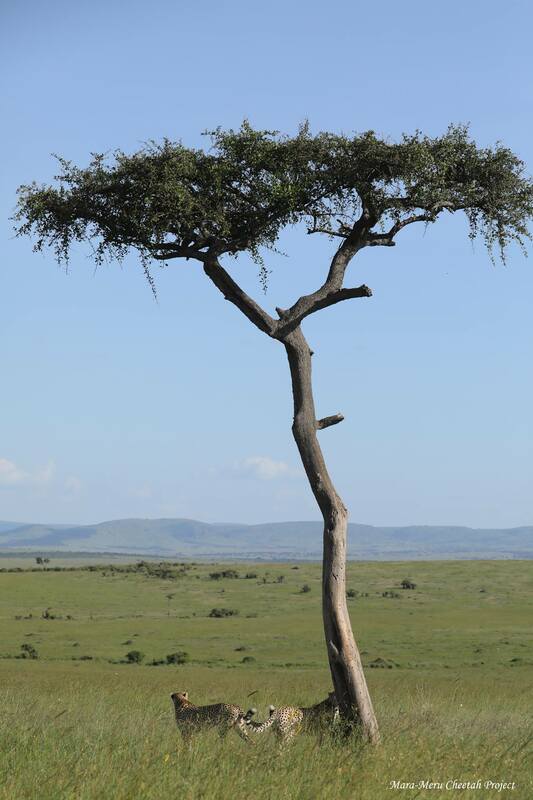 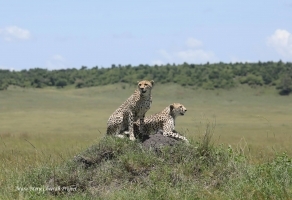 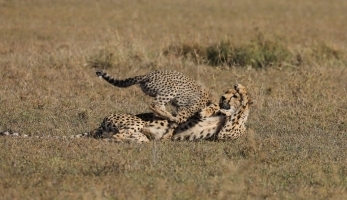 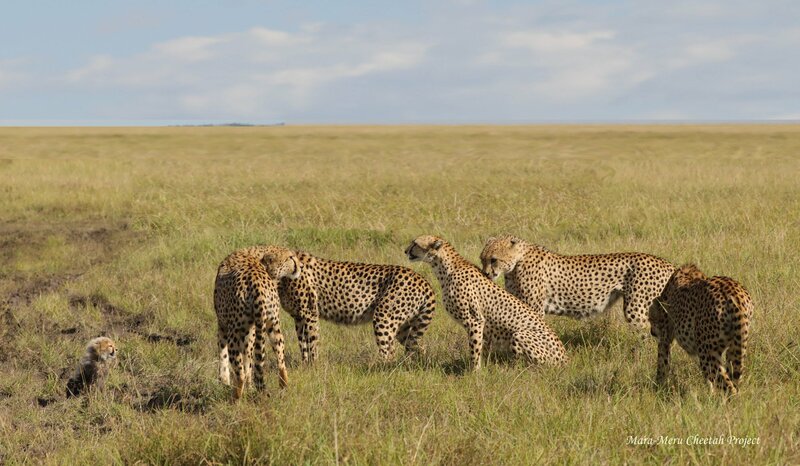 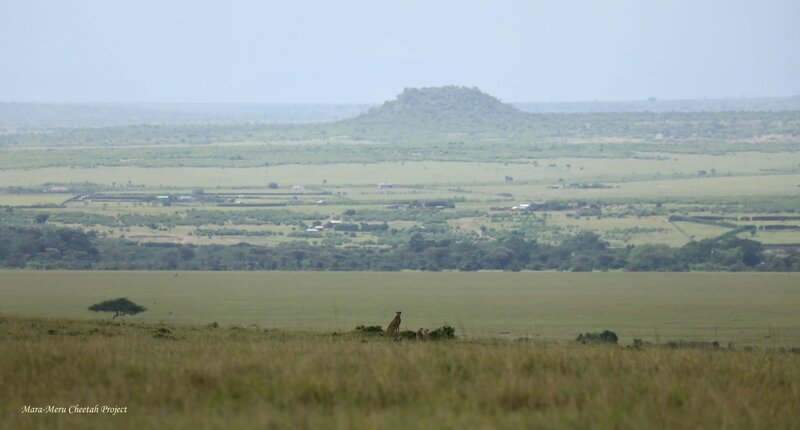 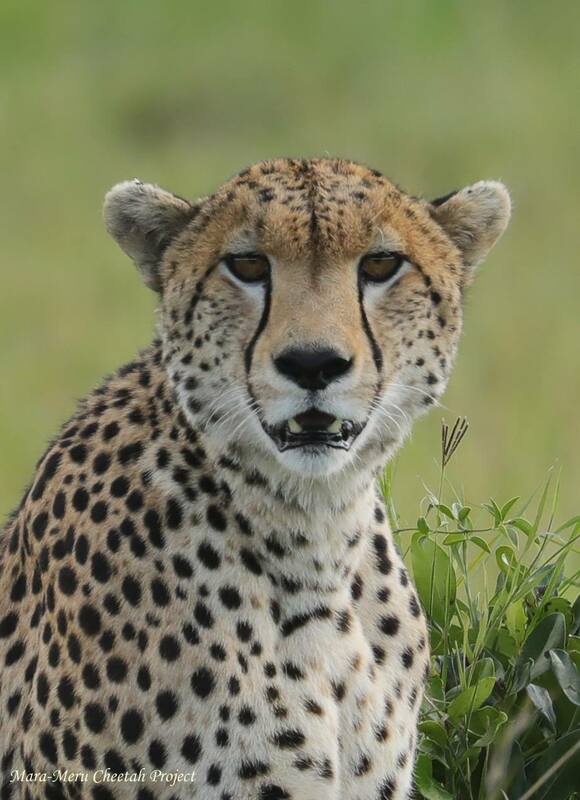 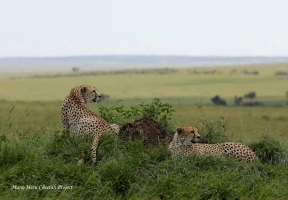 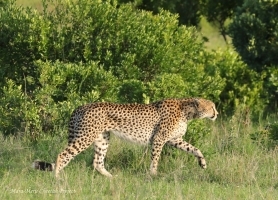 Having surveyed the family’s resting places, the males were convinced of Nora’s reproductive status and left her alone. 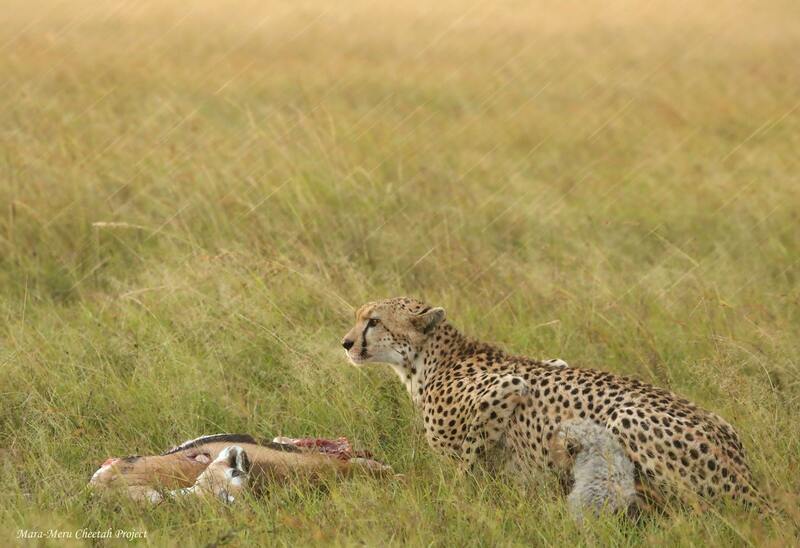 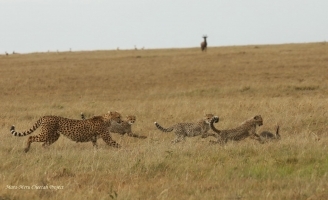 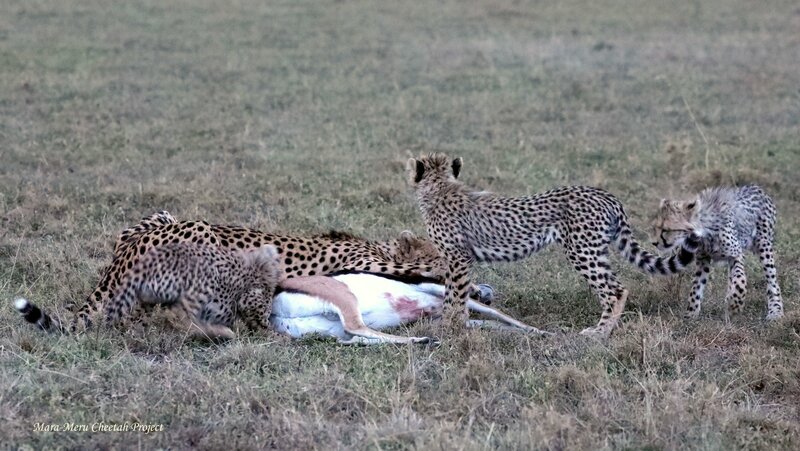 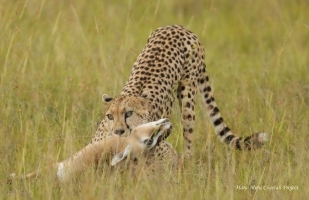 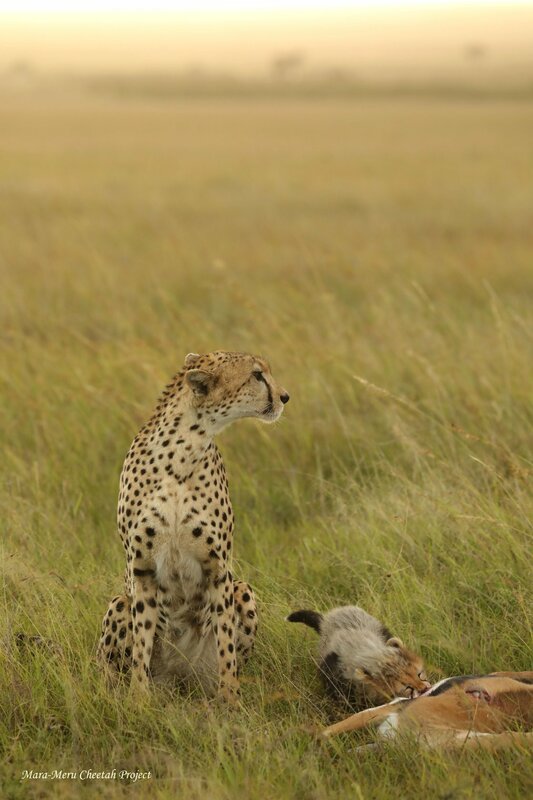 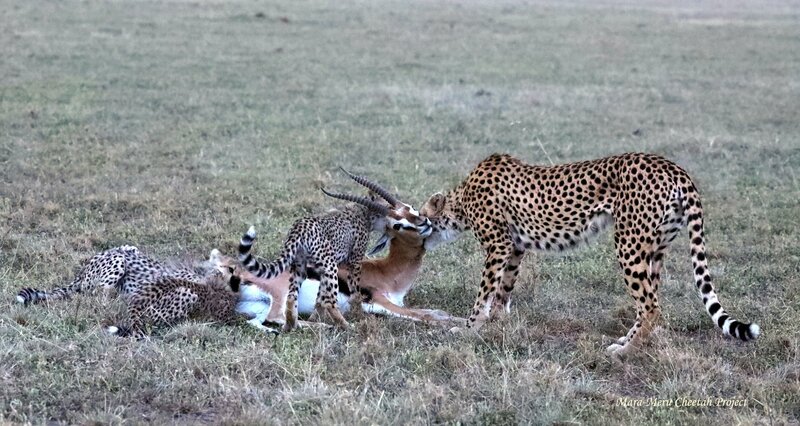 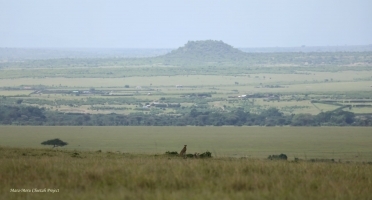 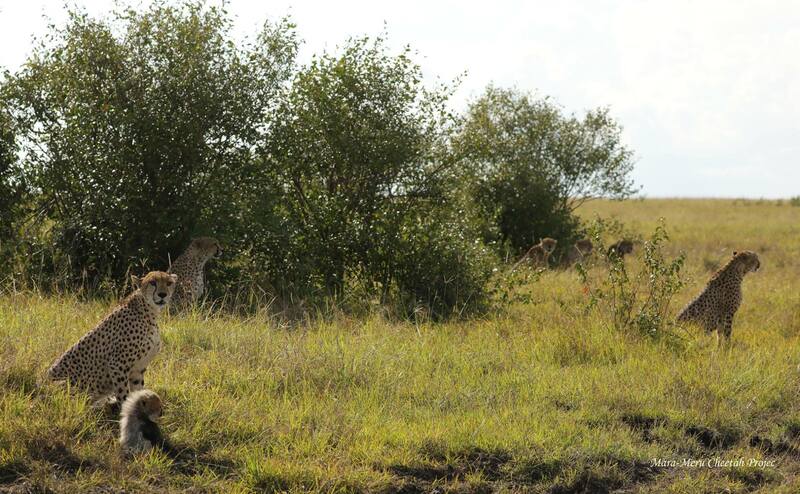 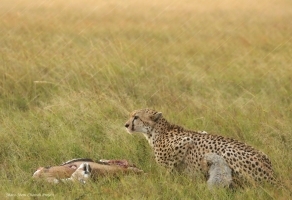 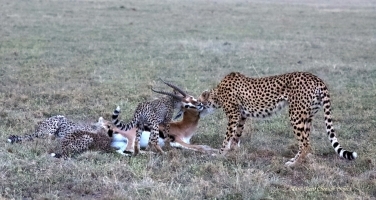 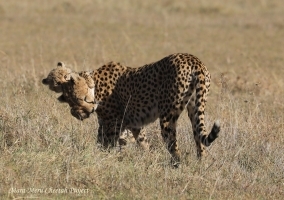 Nora led the cub away and in less than an hour successfully hunted the Thompson gazelle. 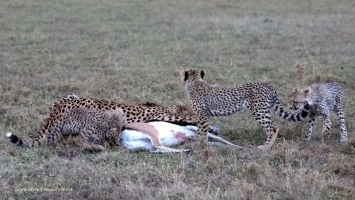 The family enjoyed good meal before the storm.